Come June, along with the sweltering heat and keen anticipation of rains, Santals await the anniversary celebrations of the Santal Rebellion of 1855–57. This event is a tribute to the Santal men, women and children who stood up to the oppression and exploitation of Zamindars, Traders, the British crown and its agents. 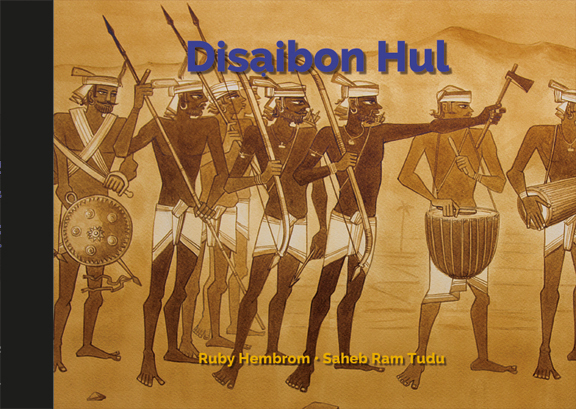 This year adivaani wants to honour that remarkable Adivasi struggle for freedom with an illustrated book for children: Disaibon Hul (Let’s remember the Hul). We wanted the book to be a ‘Santal production’. 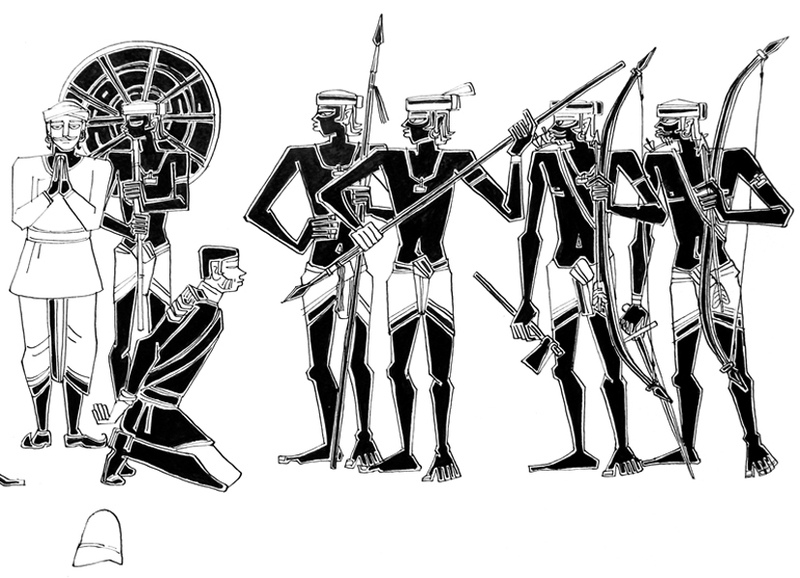 So while I scripted the book, we were fortunate to find a supremely talented Santal artist in Saheb Ram Tudu. He immediately engaged with our ideas and the first thing he did was to travel to the significant sites where the rebellion played out. We researched together and compared notes about what should go on which page. I’d often get a call; with him being disturbed by the readings of the oppression meted out to Santals. We re-wrote the text, often reducing it as his illustrations elicited the scenes so clearly. At one point while illustrating a page, he was inspired to write a song in Santali about it. The next day he sang it for us and we decided to include it in the book. We translated it into English and it adorns one of the pages of the book. The process of making the book has been both overwhelming and cathartic for us. I’ve had the good fortune of working with such a dedicated artist who through his unique style has given nothing but the best to this book. We’re proud to be Santals, we hope Santal children will be too. But then, we want to share our pride with indigenous children and people all over the world: Stand for your rights, fight for your land… Disaibon Hul! PS. Please visit us tomorrow at the Hul Mela at Bhognadih… Saheb and I will be signing the book! The books looks beautiful. Want to order 5 copies. How? This book will be available for online purchase at earthcarebooks.com from tomorrow the 2nd of July, 2014. Do look at the updated catalogue for the technical specifications of the book on adivaani’s website. I do hope you enjoy the books once you have them.